Fast, friendly and professional cleaning services are the cornerstone values of ‘Northwest Window and Gutter Cleaning’. Since 1959 we have spoiled thousands of residential and commercial clients in the Seattle, Washington area. 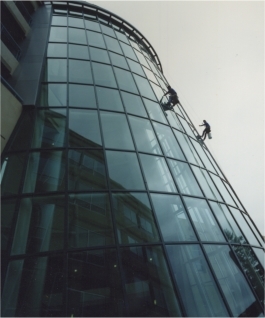 Over the years our company has grown to be more than a professional window cleaning service; we now provide a range of cleaning services ranging from window and gutter cleaning, to roof cleaning and maintenance as well as pressure washing. Our professionally trained crew always uses eco-friendly cleaning supplies and are dedicated to providing all our clients with quality workmanship; on every job, every time! With several thousand happy customers across the greater Seattle, Bellevue, Everett, King and Snohomish Counties, we guarantee to provide you with an affordable service with competitive pricing. "Our goal is to let you find out what it's like to be spoiled." Contact us today for a free written estimate for your residential or commercial window and gutter cleaning, roof cleaning and maintenance or pressure washing needs. We have never had an insurance claim; for your protection and peace-of-mind we carry over $2 million of insurance coverage. Find out what it’s like to be spoiled; hire Northwest Window & Gutter Cleaning and put our hardworking team to the test. When quality workmanship is important trust our service team to get the job done right the first time.